The Winter Olympics start in a few days and I was contemplating the various paths and inspiring journeys these athletes traverse in order to make it to a competition of this caliber. Of course we have all watched the stories spotlighting a person’s journey to the pinnacle of their sport. I was reflecting on why we are all so moved by these stories. I think it is partly because deep inside of us we recognize it as the journey we are all on in one way or another. 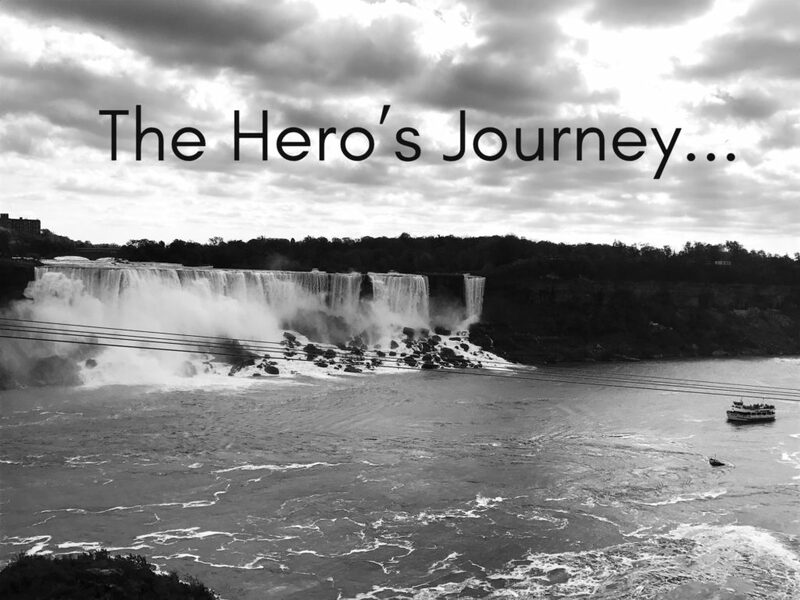 Our journey may not make front page news, or be a gold medal winning endeavor, but we are all on our own Hero’s Journey, to use the phrase popularized by Joseph Campbell. We sometimes get lost along the way by thinking if our journey or purpose does not produce something big and impactful to the masses or get noticed on a large scale by the world then it is less important. That is where we start to get off track and can look at other peoples’ lives with envy. We may even get depressed with the thought that our life hasn’t really worked out and it’s too late to do anything about it. The problem is that we discount the reality that we are leaving a footprint and making an impact in every encounter and with every decision we make…no matter how big or small it might seem. We discount the truth that serving one person from a place of love is no less important than work or achievements on a global scale. The reason is because it all starts with one. One thought that is acted upon, one idea that grows over time, one singular inner knowing your life is about something more than accumulating stuff and worrying about yourself. The fact of the matter is the first and only place we can make an impact is in the life and circumstances we are dealing with every day. We all have the chance and opportunity in each moment that passes in front of us to raise it by our presence. What does that mean? It means living from a place where we start to view every moment as an opportunity to bring our best and highest selves. When we start to live this way we begin to see that every experience is giving us a chance to serve the moment in front of us versus wondering what is in it for us. Just that shift alone will change your life and the life of everyone you encounter. Could you imagine what the world would look like if everyone was approaching each moment with the intention of “how can I serve and uplift this moment by my presence”? By approaching life this way our journey and purpose is laid out in front of us moment by moment. Every circumstance and encounter needs a hero. Luckily there is one available…it is you.